February is a great time to garden—in your mind and on paper. When most parts of the US are just beginning to thaw out from winter, gardeners are already envisioning plants growing and producing in the warmth of summer. Some gardeners succumb to the lure of temporary warm spell and start their plants early only to have Jack Frost nip them back. Don’t gamble—use this time instead for planning out the next garden. There is a lot to do before spring when you will be busy preparing the ground, setting up the watering systems and sowing seeds. February and March are perfect for reading up about plants, evaluating last year’s garden, and learning how to combat pests and diseases. It is also time to take stock of the seeds you saved from last year and order or buy new ones. kins. After you have a little gardening experience you should also grow early-to-table crops like peas, lettuce, radishes, chard and kale. A good garden plan should be written down each year in a notebook. These garden journals document how the garden was prepared (raised beds, furrows, square plots, etc), where plants grew, and a host of other information. You can document soil pH from tests, watering methods, fertilizers, mulching strategies, pests, diseases and remedies. The more information you keep track of, the easier it will be in a few years to know what went wrong and what worked well. Experience is very important in gardening, but there are so many factors it can be hard to remember where a plant grew well and where it fared poorly. By tracking the plant’s location, the general weather that year and other inputs, you can learn why some plants failed and hopefully how to remedy the problem to get a good crop when it really matters. 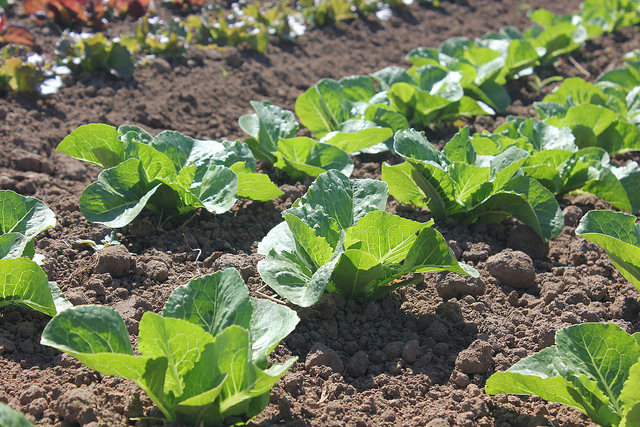 Crop rotation is an important part of your garden plan. The idea is that since plants use and give back different nutrients to the ground, it best to move them around each year to keep the soil healthy. 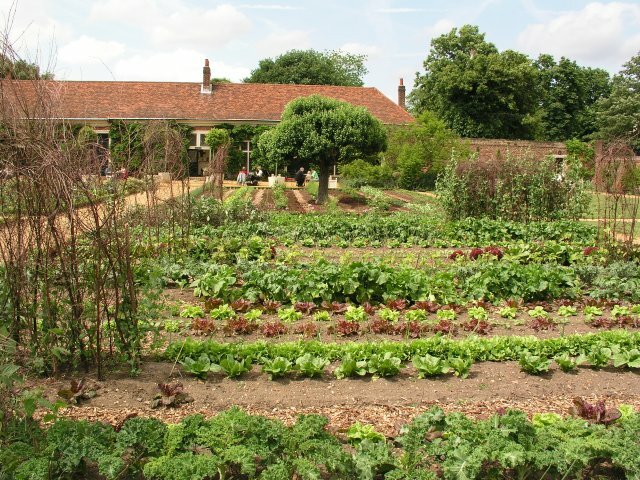 However, crop rotation is a very inexact science, depending greatly on your gardening style and plants. In the first place, perennials like asparagus, rhubarb, and most herbs regrow in the same place year after year. Some plants that reseed themselves easily like turnips, lettuce and some onions are also best left to thrive in their own spot. Crop rotation is most important for crops that are grown in large isolated groups—crops like corn and potatoes. Corn uses large amounts of nitrogen so it should follow peas, beans or other legumes that put nitrogen back in the soil. Chicken manure is also high in nitrogen, as is hay or shavings from animal stalls. Potatoes are said to produce better if planted after corn. This important crop also has to be rotated to a new place each year to reduce the chances of disease building up in the soil. Try to give the soil three or four years between potato plantings to discourage any diseases. Tomatoes are in the same family as potatoes and may attract potato blight so don’t plant them in succession. Some gardeners keep tomatoes in the same spot year after year without problems and others claim they do even better if tomatoes are grown in the asparagus plot. Farmers group their plants into similar families and keep members of the same family together in the rotation or separated by a few years. Here are the biggest groups: Nightshades: tomatoes, potatoes, peppers, eggplant; Brassicas: cabbage, broccoli, cauliflower, kale, collards and turnips; Legumes: peas, beans, lentils, and clover; Squash: squash, pumpkins, cucumbers, melons, and gourds; Carrots: carrots, turnips, fennel, celeriac. Goosefoot: beets, swiss chard, and spinach. Some plants, like onions and carrots, can be planted anywhere and are generally beneficial. 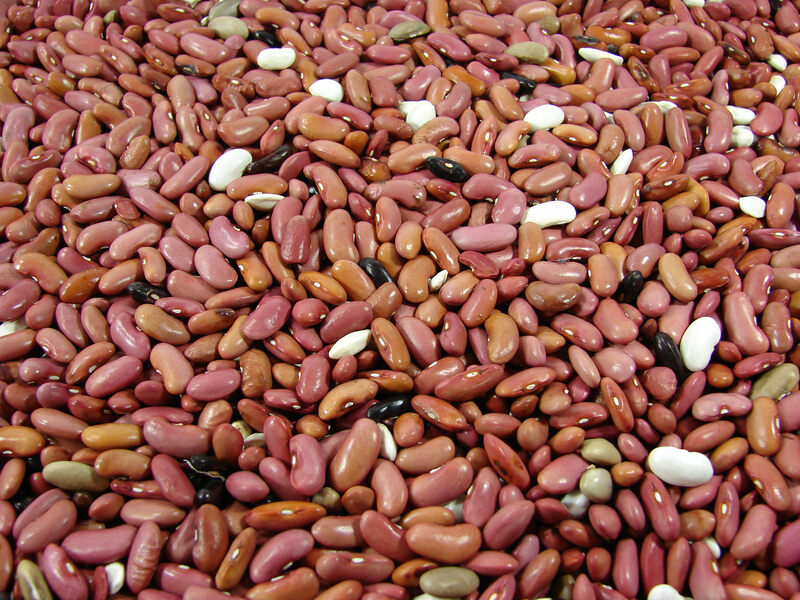 Here are a few more tips: The cabbage family does well following beans. Squash spreads out and smothers weeds. Beets and carrots pull a lot from the soil and are best following squash. Eliot Coleman, an organic farmer recommends rotating in this order: (1) Tomatoes, (2) peas, (3) cabbage, (4) sweet corn, (5) potatoes, (6) squash, (7) root crops, (8) beans. The benefits of rotating crops has long been established, but the exact method varies. You may not want a plot of peas as big as your sweet corn was. Or your garden may be so small moving the corn around would shade other plants. You will have to find ways to work around the problems. Perhaps you may have to rotate by growing some crops one year and not another. Shade tolerant crops include beets, spinach, carrots, and summer lettuce. Some gardeners have success without rotating by growing many diverse plants together with companion plants that help revitalize the soil at the same time. You may also be able to revitalize most nutrients with good compost and digested manure or other natural fertilizers, but you have to watch out for diseases and pests. 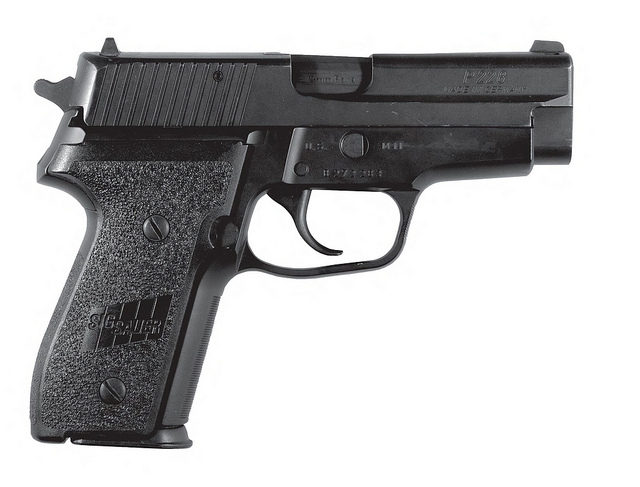 n many ways handguns are also ideal for home defense. When “things go bump in the night” and you have to check your house for intruders (called “clearing a house”), the smaller handgun is better for concealing near your bed, wielding when navigating around corners or opening closed doors and operating one-handed if you also have to grab a child. emember too that gunshots are often louder within small spaces of the house. 9mm rounds usually only leave minor ringing compared to larger caliber handguns like a .45 or .357 magnum (revolvers are louder in general). There is a big step up in noise produced by the powerful rounds in the rifle calibers, but a shotgun report is very loud can leave you temporarily deaf (or worse). Find a balance between bigger caliber weapons with “knock-down” power and the ringing it leaves in your unprotected ears after each shot. If you do choose a large caliber weapon consider subsonic rounds (less than 1000 fps) which are quieter because they don’t make the loud “crack” as the bullet breaks the sound barrier. All gunshots still make quit a pop unless you invest in a silencer. Silencers are legal in 39 states and becoming quite popular among gun enthusiasts despite the $200 “tax stamp” that must be paid to the government each time you buy one. A rifle such as an AR-15 might not seem like your first choice, but it can perform well in home defense too. Plenty of military and police have learned to effectively clear even tight spaces with a longer weapon, and until recently, they also never carried ear protection. 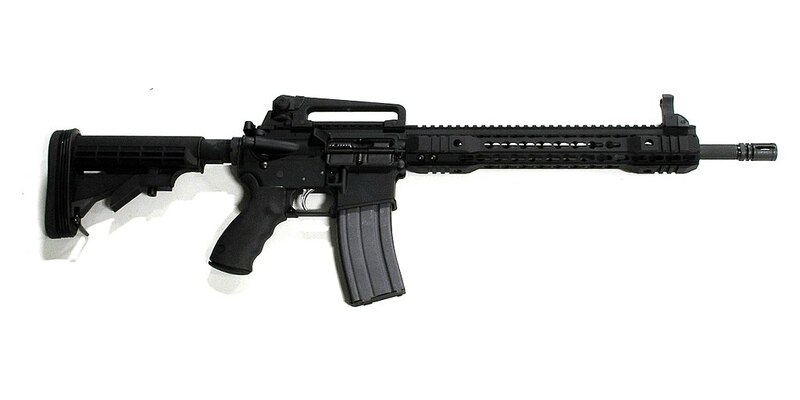 The principle advantages of a rifle are increased accuracy, more firepower and 30 round magazines. If your intruder is armed and you get caught in a firefight, your rifle will give you a decided advantage over a handgun. Military-style rifle rails are often cluttered up with expensive and unnecessary accessories, but a tactical flashlight is a valuable addition. The idea is to clear your house without turning on interior lights, since these light up the room you are in and illuminate yourself as a target. Instead try to surprise the intruder with a sudden flash from a powerful tactical flashlight to blind them as you confront them with a command to stop or freeze. This light is important to identify the intruder from friends or family, but the blinding light won’t let him see (or aim at) you easily. SureFire brand lights are the best out there, but they cost upwards of $200. Many people like shotguns for home defense because nothing compares to its “knock-down” power and its effectiveness in close quarters. Clear a house with a long gun can be a little cumbersome, but still possible, especially if done in pairs. If you live in an apartment you won’t have to worry about stray bullets going into the neighbor’s if you use birdshot rounds, but remember they are only really lethal to about 5 yards. Part of the benefit of shotguns is the variety of shells made for them, particularly if you have a 12 guage. The best for home defense if 00 (“double ought”) buckshot (lethal to 30 yards) or slugs (100 yards). Shotguns don’t have to cost much (like the pump-action Maverick 88 at under $250). The downside to the power of a shotgun is, of course, the noise. Subsonic rounds help considerably but there isn’t much in this category to choose from. Federal’s Top-Gun 900 fps birdshot round is popular with scattergun enthusiasts, but to get larger buckshot in a subsonic shell you may have reload them yourself. Ballistic Products has reloading information for several kinds of subsonic scattershot rounds. Few cleaning products in the grocery store are as cheap as white vinegar, but this simple acid is remarkably useful throughout your house, in the garage and even in the garden. Can one cheap, relatively mild product really do the job of many powerful and dangerous chemicals under my sink, you ask? Yes, and much, much more. Here are just a few of the remarkable uses for white vinegar. Reader’s Digest had a good summary of its varied uses. The word vinegar comes from “sour wine” in French, and is the byproduct of a common bacteria (Acetobacter) that feeds on alcohol when enough oxygen is present. The cheapest form of vinegar is distilled white vinegar made from cheap sources of sugar or starches such as grain and fruit. Distilled white vinegar has all the varied impurities removed resulting in a potent, consistent product of pure grain vinegar that is then diluted with water to 5% acidity. You may also see “cleaning vinegar” in stores which is exactly the same distilled white vinegar but with 6% acidity. Use 1/4 to 1/2 cup white vinegar in the rinse cycle of your washing machine to brighten colors instead of color-safe bleach (Note: be careful never to mix bleach and vinegar in the same load, it emits toxic chlorine gas). A similar amount in the rinse cycle is an excellent fabric softener and it will also stop static cling. A full cup in the wash cycle will disinfect—perfect for a load of cloth diapers or musty rags. A cup of vinegar will also set the colors in new clothes so you don’t have to worry about that red shirt or dark socks bleeding. Soak yellowed whites and sweat or antiperspirant stains in hot water with a little vinegar before washing to produce much w. If your washer smells musty you can clean it by running an empty cycle on the hottest setting with several cups of vinegar. Most people use too much laundry soap which leaves a scum that grows mildew. Make your dishes sparkle by adding a splash of vinegar in the rinse water or put 1/4 cup in each load of the dishwasher. Disinfect wooden cutting boards by wiping with straight vinegar. Make a general cleaning spray with a few drops of liquid detergent and 1 part vinegar to 4 parts water. Clean hard water deposits off sinks and faucets with straight vinegar and a dry rag. Wipe the fridge with half water and half white vinegar to disinfect and eliminate odors. Use straight vinegar to wipe off old grease and grimy dust from around the stove and above the fridge. Make a paste with equal parts salt and vinegar to scrub stains from dishes including pots and pans and to polish brass and copper. Polishing silver is easy with the foaming action from white vinegar and baking soda. Minor grease clogs in drains can sometimes be cleared by dumping a ½ cup of baking soda down it (with a funnel) and then pouring 1 cup of vinegar. When the foaming is done, flush with hot water. In the winter spray your windshield every few weeks with 3 parts vinegar to 1 part water to keep frost off. Clean windshield wiper blades with straight vinegar to keep them supple so you have less streaks. Use vinegar to clean blinds, revitalize carpets, clean pet odors and urine, get rid of smoke smell, rid your pets of fleas, wash your vegetables, clean hands after working with concrete or masonry, wipe kid’s pen scribbles off the wall, and so much more. You can even make scented vinegar cleaners with citrus or natural herbs. Don’t use vinegar on surfaces that will be etched by its acid such as cast iron or aluminum pans, stone floors, granite countertops, and ceramic tile grout. Be careful too about surfaces that are being protected by oil-based products like waxed wood, and the screens on computers or phones.